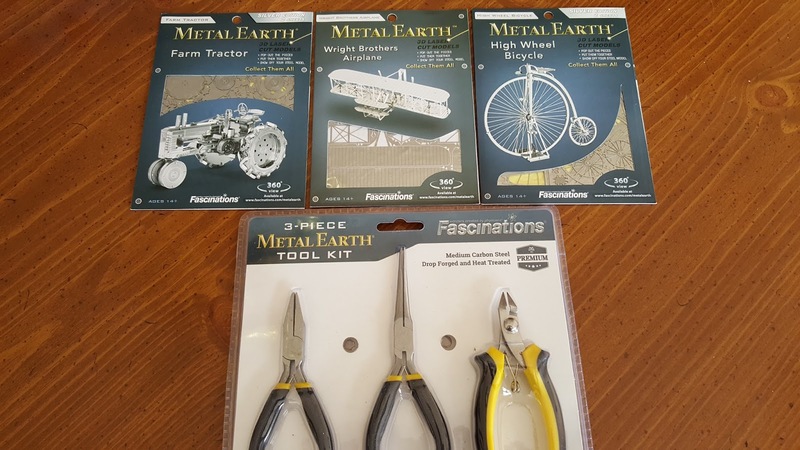 We were so excited to have to opportunity to review the Metal Earth Starter Kit from Timberdoodle. 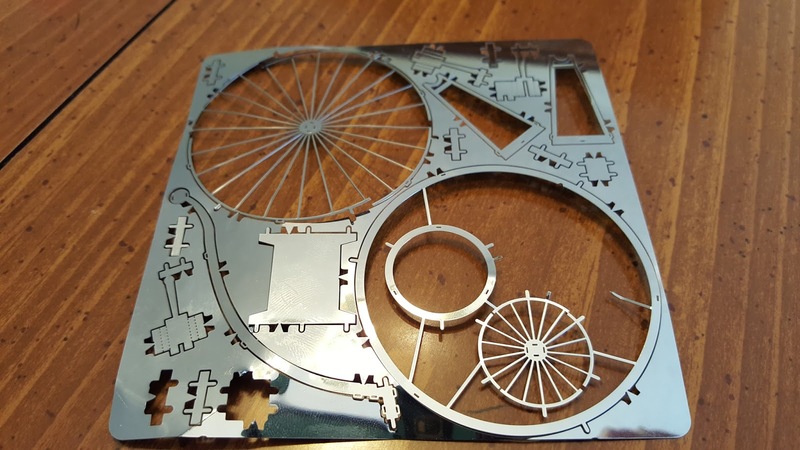 Metal Earth offers 70 options for you to choose from including The Washington Monument, The Golden Gate Bridge, and many more. Each of the model building kits includes one or more 4 inch squares of thin metal that you can transform into a 3D model. The metal pieces contain the building parts which have been cut with laser etching. Here is a video showing a little more about assembly. We found the directions to be fairly simple to follow with good illustrations. We also found the parts to be extremely small and delicate. 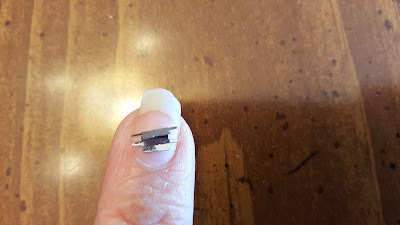 Each of the parts had small tabs to connect the parts together. We had a difficult time seeing most of the holes and even when we were able to bend the tabs to try to keep the pieces in place, they would often fall back out of place. We all tried our hand at what looked to be such a simple and neat process but none of us could accomplish putting together any of the kits! My children are 17, 15, and 12. I thought since they still love building with plastic bricks, they would love to give these a try too. We simply could not get our pieces to stay together even from the very beginning. They did try and it was so funny to see each one's personality come out. My oldest picked the tractor, opened it up, looked at all the details and parts and said - no way. 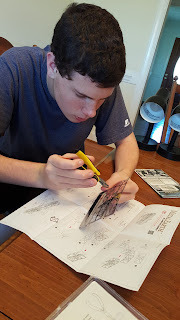 My 15 year old picked the airplane because he loves all things plane related and is also a Civil Air Patrol member. He lasted a little longer but after several failed attempts, gave up as well. Ironically, my 12 year old actually lasted the longest. She is also the do it yourself artist of the family. She picked the bicycle which seemed to be the easiest of the three. She also gave it her all but had a difficult time seeing the holes and bending the tabs. My husband and I tried to jump in to help but I'm sad to say we were also unsuccessful! 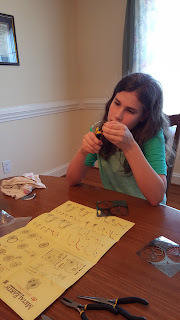 We all felt as though we needed a few extra pair of hands, magnifying glasses, and a whole lot of patience! Here is a close up of what the thin metal sheets look like. This one is the bicycle. 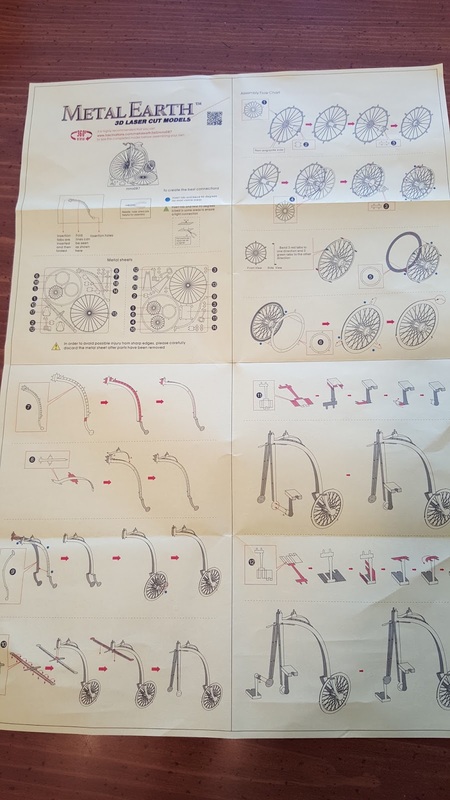 Here you can see how small some of the parts are! If you have a child who loves to build items with intricate details, you may want to give these kits a try. We found them extremely hard but they may work for someone else with more patience! I'd love to see someone who has had success with them! 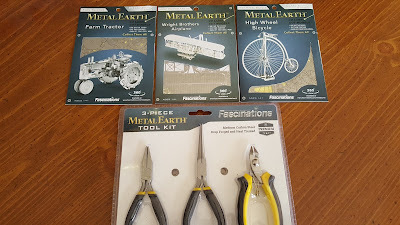 The metal earth kit also comes as a part of Timberdoodle's Eleventh grade curriculum kit.